Update: Apparently I wasn't very talkative when I published this post. 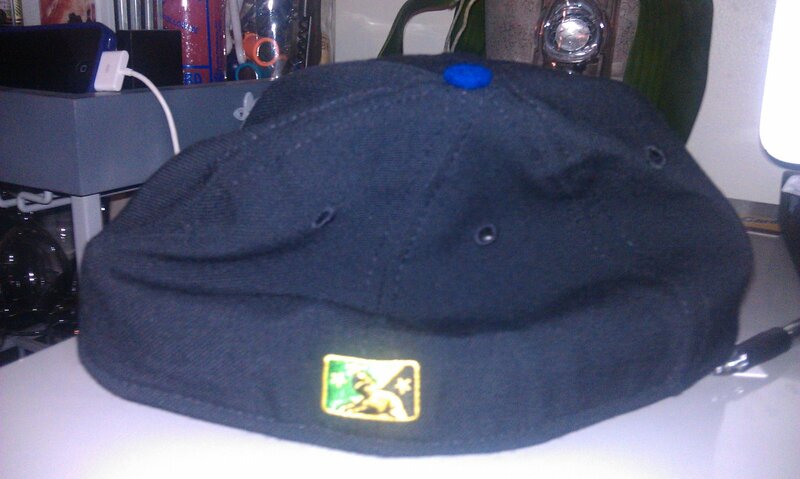 I probably just didn't know much about what year this cap was from and just wanted to get these photos out. 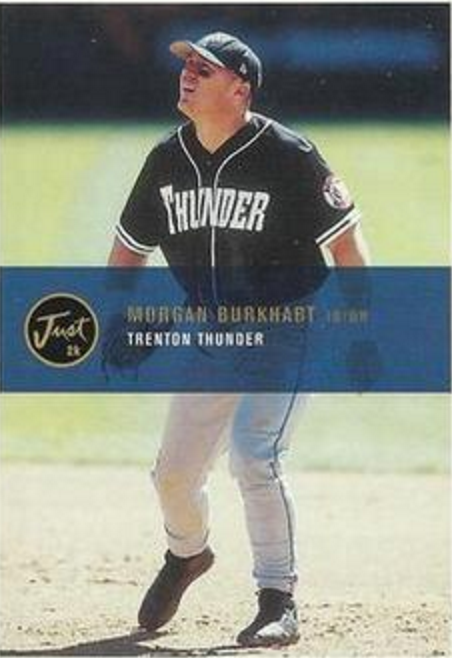 I did some light digging into Trenton Thunder Google image wormhole and the earliest card I could find of a player wearing the cap with a New Era flag is Morgan Burkhart from 2000. I guess I maybe thought it was a good idea to take a photo with that annoying flash because it would complement the Thunder emitting from the mouths of this dual-headed beast? 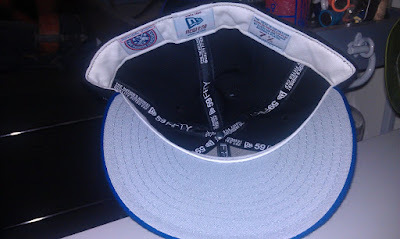 This satin taping is reminiscent of the style seen on caps from 1999-2001 so I think it would be fair to guess that this cap is from 2000. 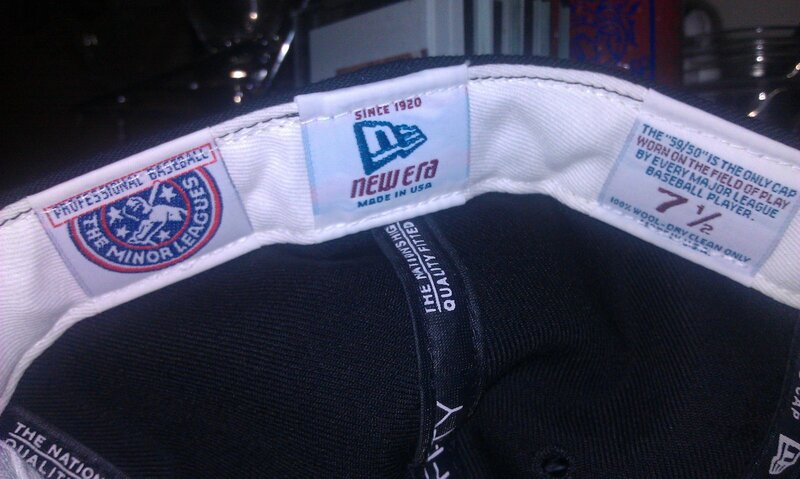 The sweatband tags are similar to the 1999-2001 style, and although I have seen a lot of MLB World Series caps with the maroon and blue box style size tags, I see that less frequently on minor league caps from those years. 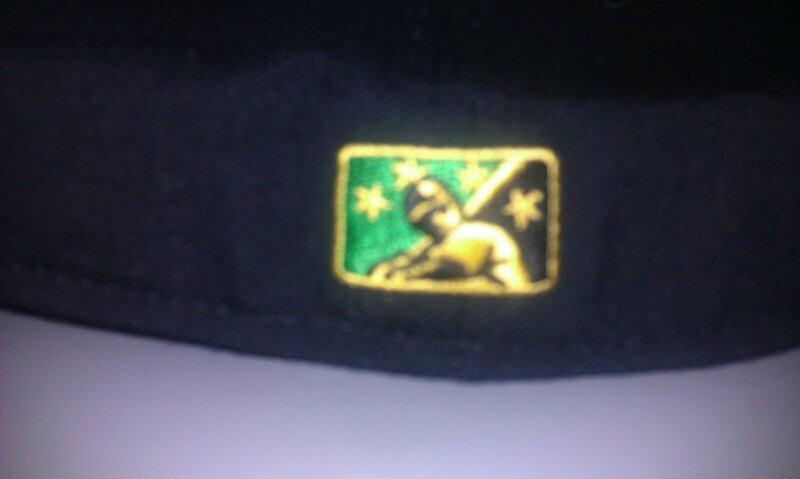 Behold the green and gold! 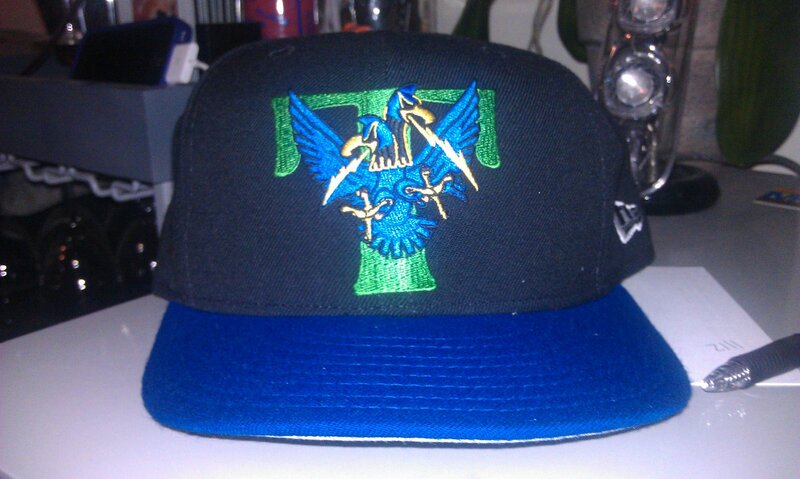 Too bad it's just too bright for you to actually behold. A little better but still pretty bad. Sorry guys! The photo of Jeter wearing the Thunder cap would appear to be from his 2003 rehab stint with the team. 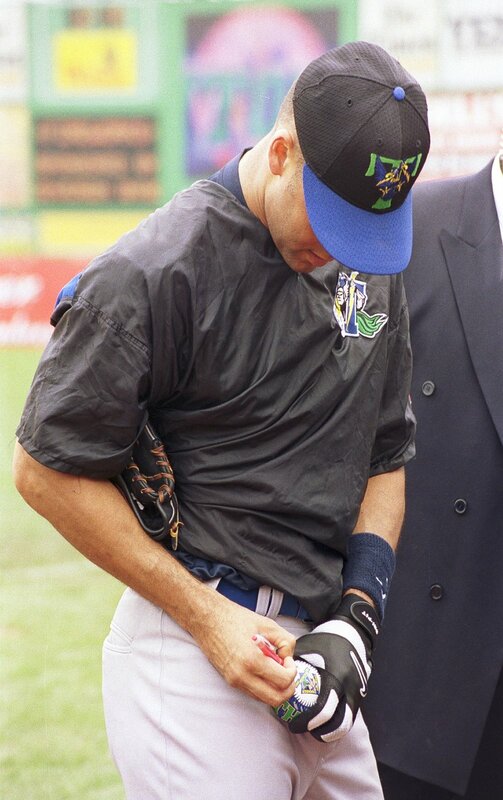 Jeter seen here signing what appears to be a Stadium Giveaway ball. 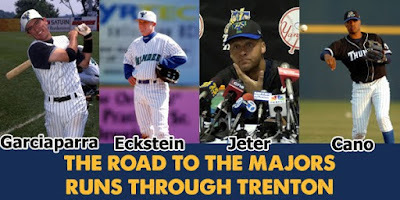 I remember getting his autograph a few times when the Columbus Clippers came to play my hometown Norfolk Tides.